The Las Vegas-Clark County Library District strives to be a place that brings the community together to share information, attend programs, experience personal enrichment and provides educational experiences and opportunities to connect with others. To this end, the Library District offers performing arts centers, auditoriums and conference/meeting rooms available for public use to all groups and organizations. Bookings may be made up to six months in advance for meeting rooms and up to one year in advance for Performing Arts Centers. 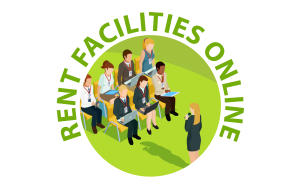 View library locations and their rental use facilities. Reservations for conference and meeting rooms may be made online. Performing Arts Centers are located at the Clark County Libraryopens a new window, the Summerlin Libraryopens a new window, the West Las Vegas Libraryopens a new window, the West Charleston Libraryopens a new window, the Whitney Libraryopens a new window and the Windmill Libraryopens a new window. Reservations will be accepted on a first-come, first-served basis by written application up to one year in advance. Alcohol consumption is permitted with prior approval of the Library's Executive Director. To book a Performing Arts Center or auditorium, please make an appointment with the scheduling staff at the library you are interested in. All Performing Arts Centers are ADA compliant and include Theatrical Lighting, a House Sound System, Video Projection and Assisted Listening Devices.